The 23rd Midleton Scouts will hold a table quiz fundraiser this coming Monday, 18 September in aid of the group’s Disability Access Project. 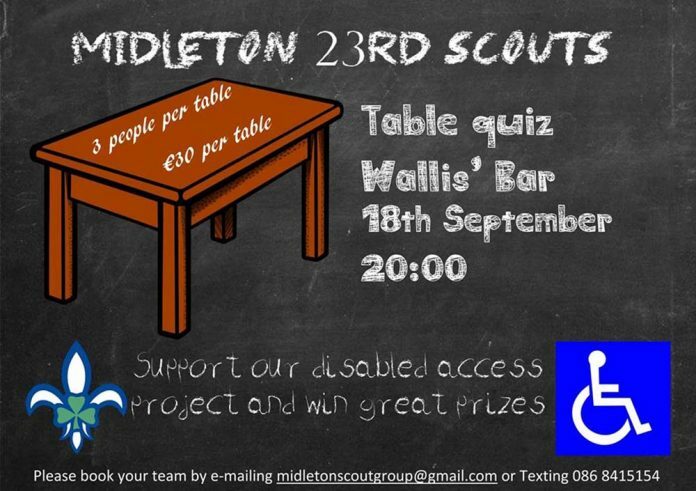 The table quiz fundraiser will be hosted by Wallis’ Bar, Midleton and will begin at 8pm. The price of a team of three is €30, which will go towards renovating the scout hall in Midleton to make it disability accessible. The main entrance to the scout hall can only be accessed by climbing up steps and opens onto the main road, making it unsuitable for children or those with disabilities. The overall project to renovate the scout hall saw four major works carried out thus far, including the renovation of the floor, the roof, the overhauling of the kitchen, and the construction of a space for the disabled bathroom. All works, which included demolition, carpentry, plumbing, roofing, painting and clearing, were carried out by parents, scouts and the leaders. The scouts’ only expenditure was on materials and the electrical work, and two of the group’s leaders previously had to take out personal loans to cover emergency works. The table quiz continues the trend of the 23rd Midleton Scouts themselves undertaking as much of the necessary works as possible. 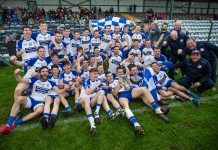 Next articleCork County Council Seek To Break Deadlock With City Council.